Heather Tom is set to appear on The Talk for a full hour, Monday, March 20th. 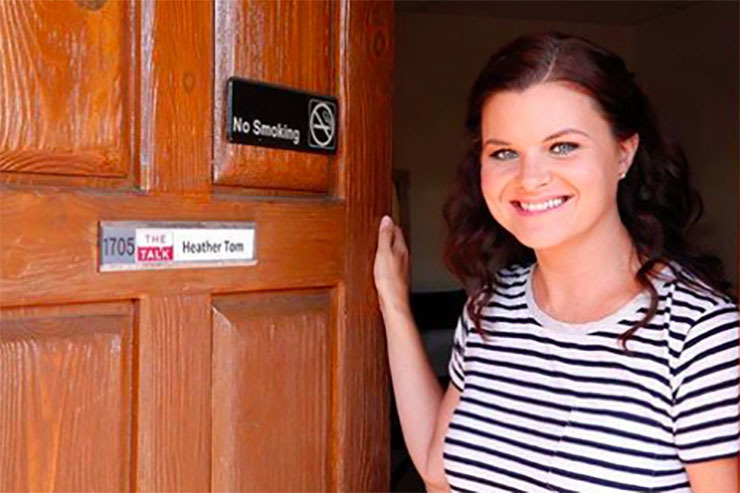 Have you always wished you could watch Bold and the Beautiful, in particular the lovely Heather Tom, for more than the 20 minutes or so we get it each weekday? Heather Tom, the irrepressible Katie Logan on B&B, is set to join The Talk today, Monday, March 20th, for its full hour at 2:00 p.m. Eastern Time/1:00 p.m. Central/Pacific time, according to CBS Daytime’s official Facebook page. The CBS sudser and the gab fest have a relationship as reciprocally fabulous as many B&B relationships–and certainly longer than a lot of them! Lots of B&B stars have appeared on The Talk over the past several years. Tom herself guest co-hosted an hour of the gab fest last year, in fact. Don Diamont (Bill Spencer) even appeared on the show to surprise B&B mega-fan and The Talk co-host Sherly Underwood by telling her that she’d be guest-starring on the the CBS sudser! There’s no doubt one of the topics Tom will discuss on The Talk Monday will be B&B’s 30th anniversary this month. The soap has really pulled out all the stops to commemorate this milestone event. Several cast members flew to Australia to film some episodes that are airing now. John McCook (Eric Forrester) and Katherine Kelly Lang (Brooke Logan) celebrated being the longest-running cast members on the show last week. And fans have gotten the treat of seeing “time capsule” episodes from memorable storylines on the show recently. Tune in to the The Talk to see if Heather Tom offers any teasers or spoilers on what’s to come for her, Brooke, Quinn (Rena Sofer), Ridge (Thorsten Kaye), and others.